Do you remember who was running for office when you first became aware of politics? Who was in the White House when you were born? When your parents were children? When your ancestors immigrated? One of my grade school teachers held a mock election during the 1972 United States presidential election. I don’t remember as much of what happened in the classroom as I remember what was happening at home. My parents would not identify their candidate(s) of choice. To this day I have no idea how my parents voted in any election. Dwight D Eisenhower was in the White House when I was born. John F. Kennedy was assassinated when I was five years old. Herbert Hoover was president when my father was born in 1931. The Stock Market had crashed two years earlier and people blamed President Hoover for the ensuing Great Depression. My mother was born during an election year. Franklin Delano Roosevelt promised a New Deal for the American people if they elected him. I wonder how these events formed my parents’ political opinions. My maternal grandparents were both born during Teddy Roosevelt’s eight year stay (1901-1909) in the White House. Teddy fought in the Spanish-American War as one of the Rough Riders. Wow. My grandparents were born a long time ago. A favorite among my ancestors is my 2nd great-grandmother Elizabeth Schmitt. Her family immigrated to the US from France in 1854 when Elizabeth was seven years old. Franklin Pierce was in the White House when the Schmitts arrived at the port of New Orleans. 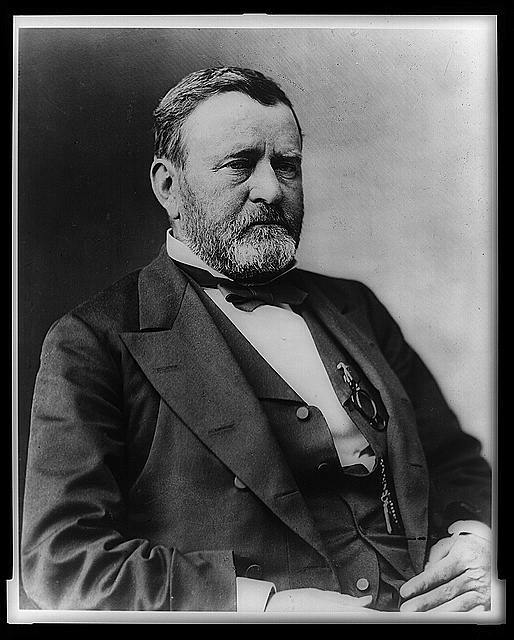 Ulysses S. Grant was the president in 1874 when Elizabeth married my 2nd great-grandfather Jacob Mueller. Just matching a few ancestors to the Presidents who were in office during their lifetimes has been an interesting diversion as I wait for this election’s results to be posted. If you need a diversion of your own, you can view a slide show of the presidents here.